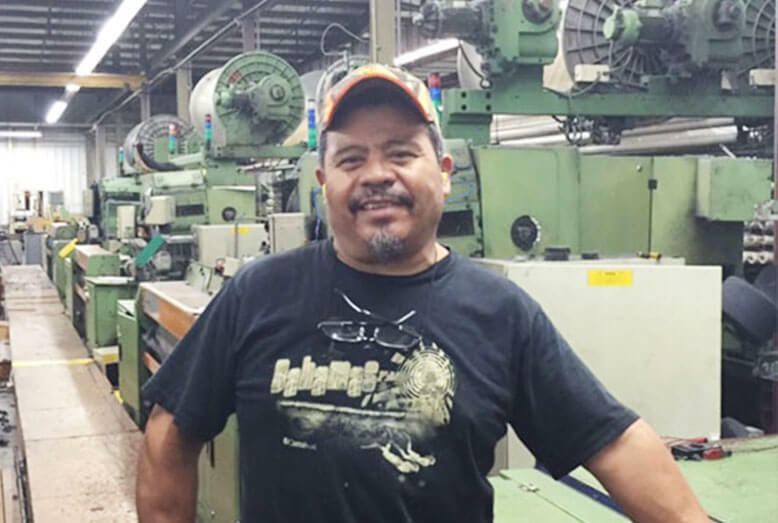 When Culp purchased the velvet production facility in the mid-1980s, Juan was vital in helping get the operation up and running, since he had been working for the previous owner for several years. As valued as Juan is for his technical expertise, he is even more appreciated for his attitude and work ethic. “If I had to describe Juan in one word, it would be ‘steadfast.’ Juan is dutiful, firm and unwavering. He is loyal, faithful and constant,” said Hagen. What means the most to Juan in doing his job as Lead Technician at Culp? “It means a lot to me to earn the trust of my supervisor,” Juan said. “It means the world to me to earn the trust of others.